I’m still unpacking boxes in our new home. It seems like it’s a job that never ends! Anyways, I found a box of cookbooks and loose scraps of paper with recipes jotted down on them. I even found a few of my late grandma’s recipes that I’m planning on making soon. In the box was this recipe cut out from a magazine that had to be at least 15 years old for a Cheesy Zucchini Bake. I have an abundance of cheese right now with my work with the Dairy Farmers of Canada so I figured I’d give this recipe a try. The cheese I used in the recipe is called Tipsy Wine Soaked Cheese from Gunn’s Hill in Ontario. It’s an original Oxford Harvest cheese that has been soaked in Palatine Hills Cabarnet Merlot for several days. I would traditionally serve this cheese with wine (no brainer there!). 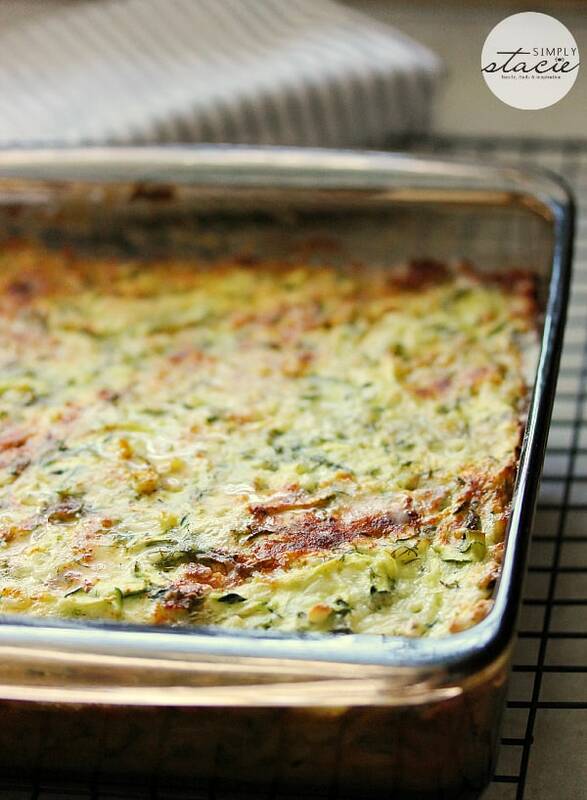 I was curious to see how it would taste in this zucchini bake recipe. It was a good call because it turned out delicious! If you don’t have this cheese near you, substitute another kind. I bet cheddar cheese would also be good. John who is not fond of zucchini even enjoyed this dish. I helped myself to seconds. You can serve it hot or cold. I had a few pieces for leftovers that I ate the next day. I think I prefer it hot though. 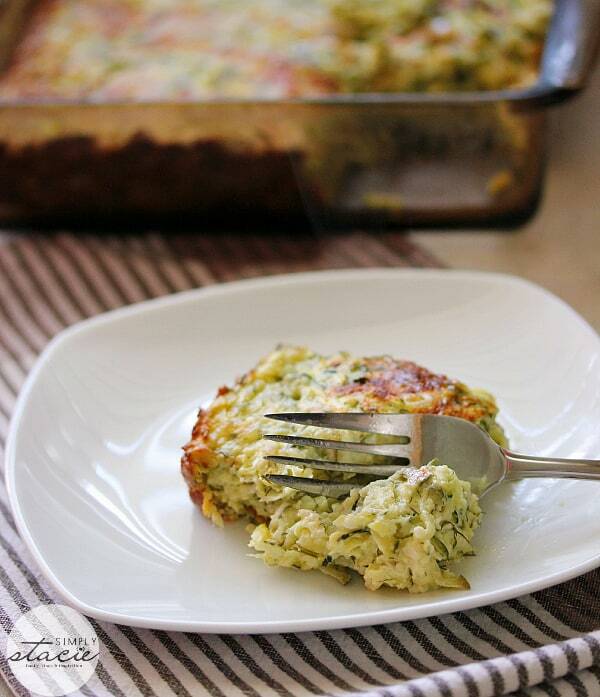 This recipe is a great way to use up the zucchini in your garden this summer. 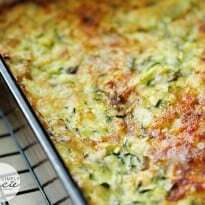 For more zucchini recipes, check out these posts from my blogging friends: Zucchini, Tomato and Potato Casserole and The Best Chocolate Zucchini Bread. I also have a recipe for Baked Zucchini. You might also like this Cheesy Corn Casserole. 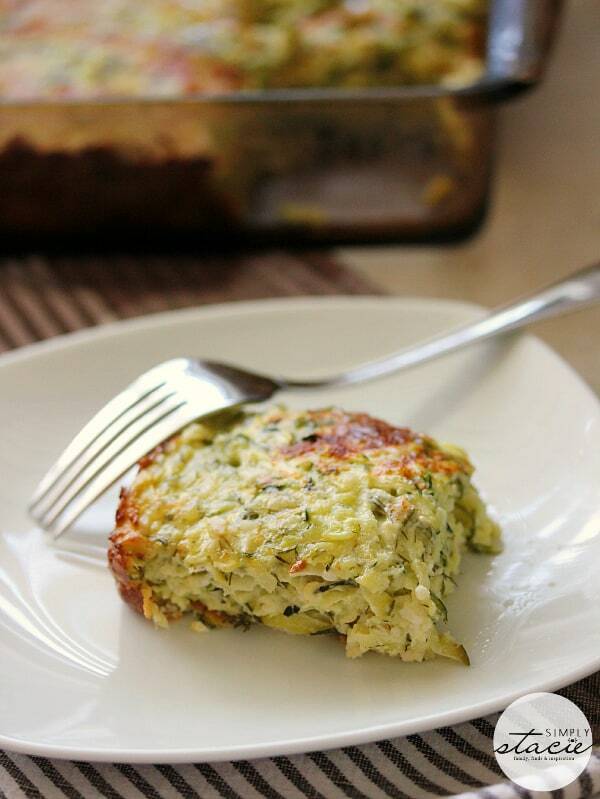 A delicious recipe to use up the zucchini in your garden! 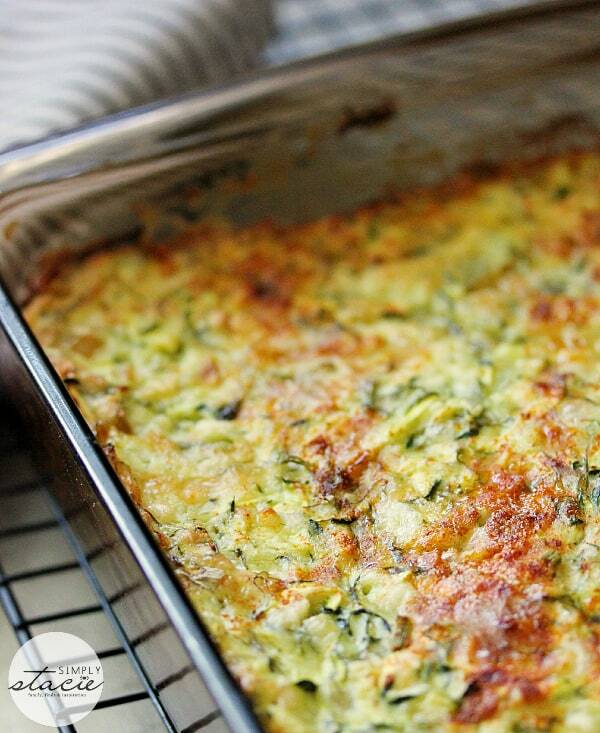 In a large bowl, mix together zucchini, eggs, dill and cheeses. Slowly add the flour, mixing well. Stir in salt and cayenne pepper. Grease a 9 inch baking pan with butter. Pour in zucchini mixture. Dot with butter. Bake for 45 minutes until well browned. Serve hot or cold.